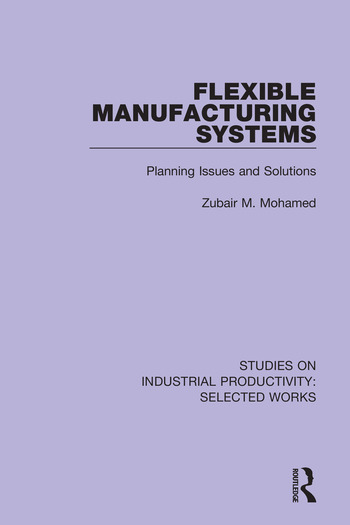 Originally published in 1994 this book undertakes a comprehensive study dealing with the effects of machine flexibility, tool magazine capacity, varying production demands and different oeprating policies on the production planning problems. Performance measures such as FMS flexibility, makespan and inventory are used in evaluating the effects. Three measures of FMS flexibility - actual routing flexibility, potential routing flexibility and capacity flexibility are defined and operationalized. Dr. Mohamed was born in Bangalore, India and did his undergraduate education in Mechanical Engineering from B.M.S. College of Engineering, Bangalore, India in 1979. Just before graduation he was hired by Widia (India) Ltd. as Technical Engineer and worked for them till December 1983.